Pretty late 19th century demi lune console table. 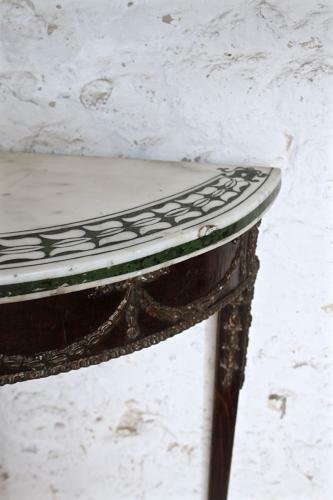 Original carrara marble top inlaid with a green marble forming a band of laurel leaves. Gesso on the base of the table also forming a band of laurel leaves. There would originally have been a plaque or something similar in the middle.